REDUCED & READY! 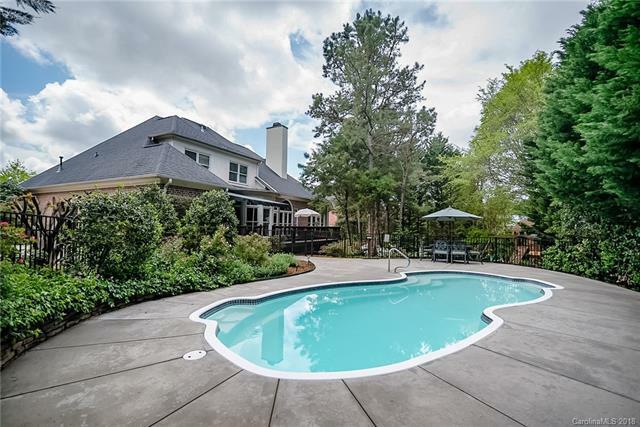 Gorgeous ALL BRICK home w/ SALT WATER POOL in highly desired Davidson with top notch school zone. This John Wieland home has hard woods throughout 1st floor, 2 story foyer, crown molding & neutral paint throughout. Open floor plan w/ living area flowing off kitchen and breakfast area that all look out on private back yard w/ bay windows & French door. Back yard is UNIQUE because includes the salt water pool AND a grass area for kids or pets to play with lush private landscaping for your families privacy!!! Two story family room has beautiful built-ins & gas log fireplace. Master on main level w/ cozy fireplace, His & Hers vanities and closets. Upstairs all bedrooms with lush carpet & custom blinds. Huge bonus room with walk-in to attic storage & built-in LG screen TV niche. Priced to sell & below appraisal! Appealing estate circular driveway with side load garage. In-ground irrigation/sprinkler system. Homeowner will provide home warranty for new buyer.